My first time reading here.. great post!! Thanks for the advise.. we are a start up and need all the information as possible! In today’s world IP is king. 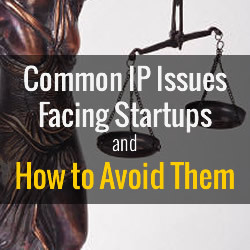 This is great advice for someone in a startup or with a new product as a guide to avoid running foul of IP law. Great advise! It’s wonderful having this information! Thank you so much!!! This is so true, not only do they have to search to insure that they are not infringing on others, but they have to protect themselves. I can not help with the naming of the company and things like that, but once they hire me I insist on a work for hire contract. Those contracts protect me as much as them. The fact that other web designers want to “steal” the company’s Intellectual Property is amazing to me. Very good article, I am going so share on my facebook and probably on one of my websites. Valuable tips!! Thanks for sharing!! This is very good information. Thank you for joining the group and for sharing with us. Great post!! 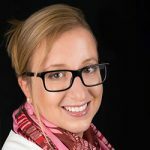 I’ve just started a new business and really enjoyed reading your post. It was very thorough. Having and completing a business plan is essential, everything else follows. Yes… very difficult hurdles, but they can be overcome..
I’d rather see a cheesy homemade logo than one borrowed or illegally adapted from one they liked. I know of three companies named Fruition. They all thought they were clever. Only one was. Great tips to share for start-up business and even to small business entrepreneurs who would like to grow. I’ll gonna share this stuff definitely. Thanks for sharing this info.